Ercol 3145/5 Adrano Grand Sofa in a range of different Natura fabrics with a pale oak underframe and legs. 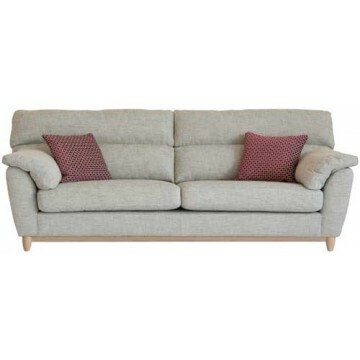 This range has loose and turnable seat & back cushions and also deep full arm pads which are zipped into place. Scatter cushions are included and you can choose the fabric you want them in from the same Natura swatch book.